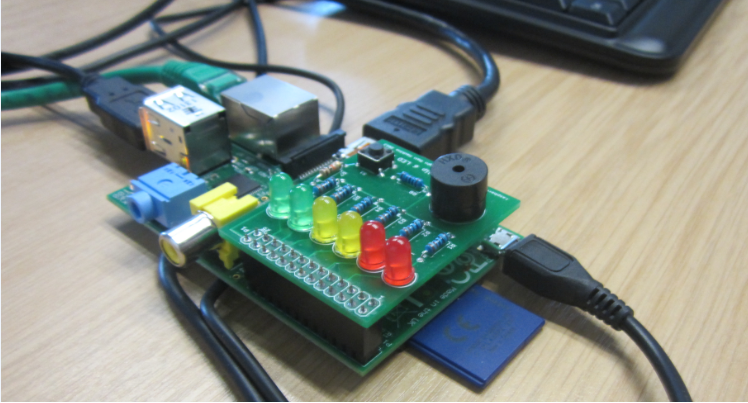 Boot the Raspberry Pi and login with default username and password (‘pi’ and ‘raspberry’). You will now be located in the ‘pi’ user home directory (‘/home/pi/’). to list the downloaded files. This command will set the GPIO 10 according to the WiringPi (corresponding to GPIO8 on the Raspberry Pi) to low and will stop the annoying sound done by the BerryClip.